Iqbal is a sub-continental poet who shook the world with his revivalist and pan-Islamic poetry. You have one faith, one creed and to one Prophet allegiance owe. Was it so difficult to unite in one community every single Mussalman? In these times are these the ways to progress and to prosper? 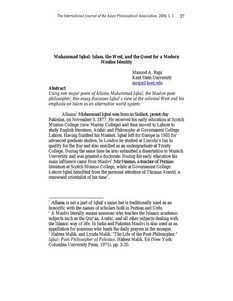 In order to understand Iqbal's poetry, it is to be understood that his thought went through a process of evolution from a strictly nationalistic and secular approach to a strongly religious and pan-Islamic world-view. Moreover, as a poet and a human being, he is also susceptible to mistakes and this aspects should remain in consideration while reading the books provided in this section. Library team may not endorse 100% of the opinions and matters presented in these books. Some misunderstandings surround his life and work because of the abundance of incomplete or inauthentic biographies written about him. One of the most notorious allegation on him is his tilt towards qadyanism, despite his refutation of their beliefs at a number of location. 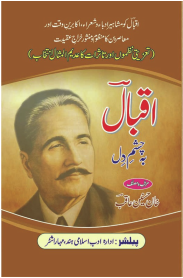 More details about the biographies on Iqbal are available in the final section of this page. 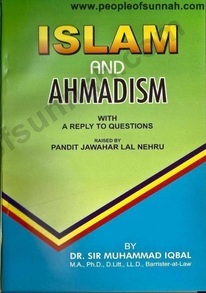 English - Dr. Annemarie Schimmel on Allama Muhammad Iqbal (Listen) - Note: Dr. Annemarie Schimmel was an Islamic studies researcher and scholar from Germany who did an extensive work on translating and propagating the works of Iqbal. COMMENTING on the genre of biography, Oscar Wilde said “Formerly we used to canonise our heroes. The modern method is to vulgarise them. Cheap editions of great books may be delightful, but cheap editions of great men are absolutely detestable”. Probably this is truer in modern days than it was in the Wilde age. And it is truer of biographies of Iqbal than of any other great man. Especially of late, there have been efforts to vandalise Iqbal legacy and many irrelevant questions raised about his life, philosophy and poetry. Sahi, a monthly published from Karachi, has in particular tried to blast Iqbal's personality and image. Though Iqbal remains unscathed by these attempts, they have emphasised the need to write authentic commentaries on the life and thought of Iqbal. Though Iqbal and Ghalib are the two most written about poets of Urdu, an authentic and readable biography of Iqbal's is yet to be produced. The ones written so far lack in one way or another. Some of them have even tried to vulgarise Iqbal and some have created misconceptions about Iqbal's life. Some unscrupulous elements still believe in some misconceptions spread about Iqbal's early life. True, Iqbal was no angel. He was a human being. Samuel Johnson once remarked “If a man is to write a panegyric, he may keep vices out of sight, but if he professes to write a life, he must represent it as it really was”. 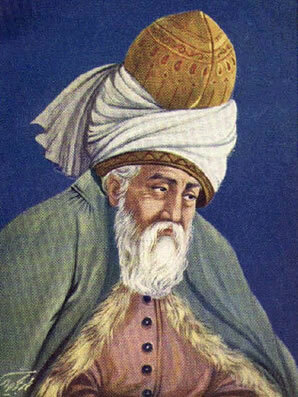 But while writing on Iqbal's life one must keep in mind that he was not only a poet or a mere philosopher, but he was also among those who laid the philosophical foundations of a new country for the Muslims of the subcontinent, and his biography must reflect it. 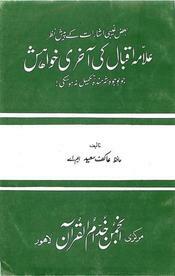 Let us have a quick look at the biographies of Iqbal written so far. Beginning with the sporadic efforts in the shape of biographical essays to capture glimpses of Iqbal's life, Abdul Qadir, the editor of Makhzan, is the first to have ever written such an article and it appeared in the May, 1902 issue of Khadang, Lucknow. Later, Muhammad Deen Fauq, Sir Zulfiqar Ali Khan and Moulvi Ahmed Deen wrote articles on Iqbal's life during his lifetime, but no biographical writing described Iqbal's life at book length while he was alive. One of the reasons was that Iqbal did not encourage such an idea and said his life did not have any event that could be of interest or learning to others. But, as mentioned by Javed Iqbal in his Zinda rood, Iqbal wanted to describe the gradual evolution of his thought and philosophy but could not do so. 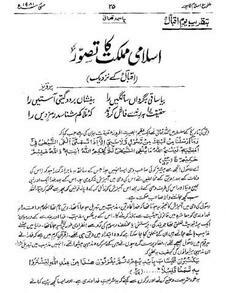 In 1932, according to Prof Rafiuddin Hashmi, Nairang-i-Khayal, a magazine from Lahore, published a special issue on Iqbal. 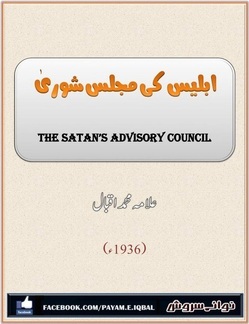 After Iqbal's death in 1938, the first book on him appeared the same year. It was written by Chiragh Hasan Hasrat. 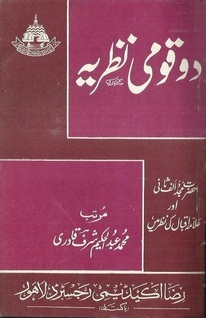 Titled Hayat-i-Iqbal,it was published by Taj Company, Lahore. 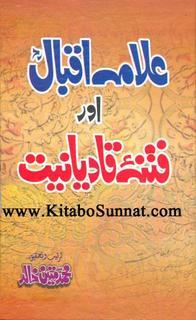 In 1939, Muhammad Hussain Khan wrote Iqbal and Muhammad Tahir Farooqi Seerat-i-Iqbal. Abdullah Anwer Baig wrote The poet of the east the same year. 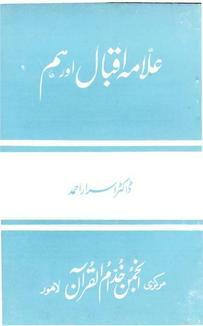 Schedanad Sinha's Iqbal in English was published from Allahabad in 1947. Atiya Fayzee's Iqbal, which first appeared in 1947 from Bombay, gave some rare glimpses of lighter and carefree moments of Iqbal's life in Europe during his student years. It included some rare photographs and letters of Iqbal addressed to her. It was not unfair to expect of Abdul Majeed Salik and Abdus Salam Khursheed that they would write authentic biographies of Iqbal, but books written by both proved disappointing. 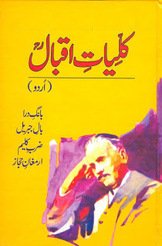 However, some very useful and interesting books giving relatively more in-depth biographical details on Iqbal were written by Iqbal scholars such as Faqir Syed Waheeduddin, Syed Nazeer Niazi, Khalid Nazeer Soofi, Abdullah Qureshi, Abdullah Chughtai, Hameed Ahmed Khan, Saeed Akhter Durrani, Iftikhar Ahmed Siddiqui, Hamza Farooqi, Muhammad Haneef Shahid, Sabir Kalorvi and many others. 1977 will be remembered as a watershed year as Iqbal centennial was commemorated at the government level that year, when the literary world witnessed an unprecedented flow of books and articles on Iqbal. And now no year goes by when new books and articles on Iqbal are not published. 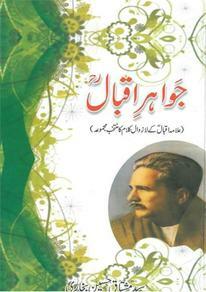 But many of the books tend to discuss either Iqbal's art or both his life and art. And the books that were intended as Iqbal's biography lacked in many respects. Some of these books did not cover the entire life of Iqbal, some lacked in details, some recorded only conversations with Iqbal and in other some inaccuracies had crept in. Though all these books provided the scholars with good source material, the need for a good, detailed and authentic biography, giving a complete view of Iqbal's life was badly felt. 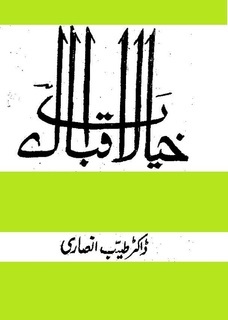 Javed Iqbal's Zinda rood, first published in 1979, filled that gap. Instantly acclaimed as the most authentic, most detailed and most accurate of them all, the biography written by Iqbal's son has run into its fourth edition. It is still unsurpassed though many say it also lacks in certain aspects. 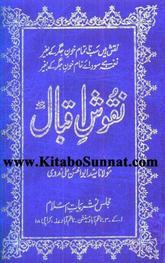 A critical study of Zinda rood is carried out by Dr Rashid Hameed in his Zinda rood ka tehqeeqi aur tanqeedi mutala. While it indulges in some hairsplitting and lays too much stress on petty matters such as inaccurate spellings, the book precisely points out some weaknesses which, if and when addressed, would definitely add to the book's worth. Dr Rashid Hameed has rightly pointed out that, for instance, Javed Iqbal could not fully take into account some of the basic and original sources available to him, including Iqbal's letters. Dr Hameed says Javed Iqbal was in a unique position to take advantage of all the basic and original sources necessary to carry out an authentic research on Iqbal, but he could not do so. Secondly, Zinda rood, too, is not free from errors and inaccuracies as far as mentioning of some dates and events are concerned. Also, Javed Iqbal, he says, could not refute forcefully enough the impression that Iqbal had a leaning towards or sympathy with the Qadianis as the fact is quite contrary to it. (The wrong impression was created in his book Mazloom Iqbal by Ejaz Ahmed, Iqbal's nephew, who had converted to Qadiani beliefs).Another impression of his is that Javed Iqbal's style of writing is not crisp enough and at times it seems too drab. In fact, Zinda rood is by far the best biography of Iqbal and it would be unfair to give the impression that the book lacks readability in entirety. A major portion of it is quite lucid and at times it is highly interesting. 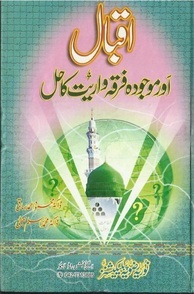 As Rafiuddin Hashmi says in his Pakistan mein Iqbaliyati adab ka jaeza 1947-2008, “Javed Iqbal has very capably fulfilled his responsibilities as a biographer, and Zinda rood is a balanced and objective biography that describes important facts and aspects of Iqbal's life with details and necessary background. It makes you feel that Iqbal's life was that of a great man.” Two other recent biographies of Iqbal that merit a mention are Damadam rawan hai yam-i-zindagi by Khurram Ali Sahfeeq, being written in five parts and that is still incomplete. 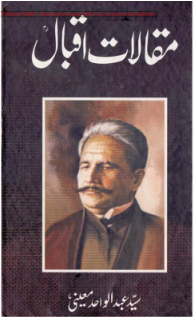 Published by Alhamra, Lahore, once completely published, it would definitely be a very significant addition to the biographical literature on Iqbal. 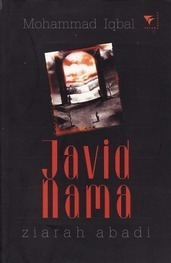 Another biography was published last year by the Pakistan Academy of Letters, Islamabad. 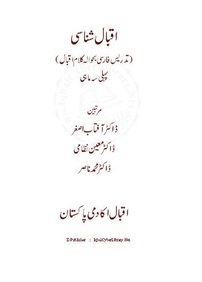 Written by renowned Iqbal scholar Prof Rafiuddin Hashmi, the book, titled Iqbal shakhsiyet aur fun is published under the series Pakistani adab kay maymar. 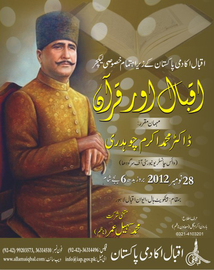 It is intended for the common people and students, and it aims to remove some misconceptions about Iqbal. What makes this book stand out is that it gives certain details and narrates events that are usually not found in other books on Iqbal. 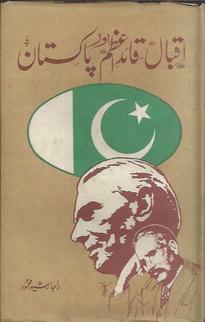 It is hoped that Javed Iqbal would bring out a fifth, revised edition of his valuable book.